Known as the 'king of indiscretion', Erich Salomon was a key figure in modern photojournalism. In 1927 he switched from a large-format press camera to an Ermanox, a recently introduced hand-held camera that enabled him to work in secret and without flash. He took this image on 28 July 1931 at the German Chancellery in Berlin. 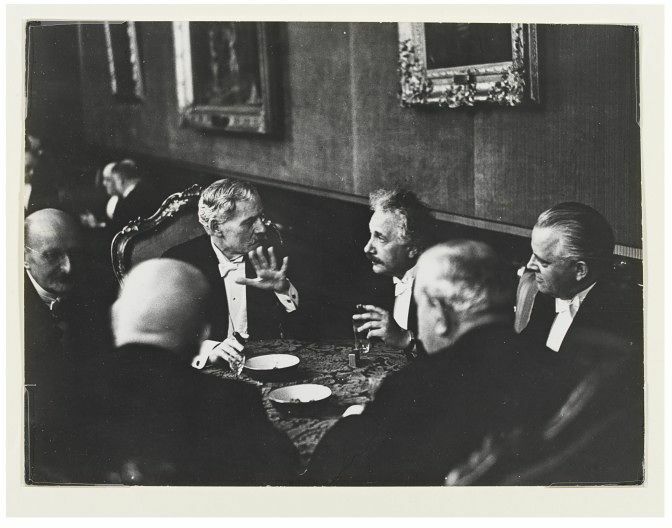 Herman Schmitz (to the right of the central figure of Einstein) was founder of the company I.G. Farben, which manufactured the gas used at Auschwitz, where Salomon and his family were murdered. 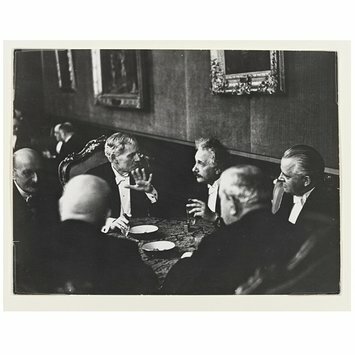 Black and white photograph of a group of men; Max Planck, Prime Minister Ramsay MacDonald of England, Albert Einstein, Dr H. Dietrich, German Finance Minister, Mr Schmitz of I.G. Farben, and Dr Curtis, German Foreign Minister. They are dressed in white tie and ate seated around a table, smoking cigars and engaged in debate. 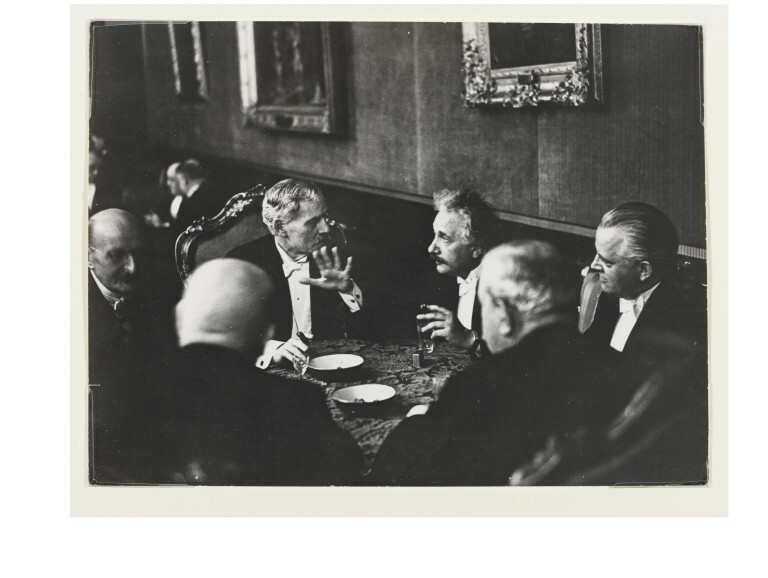 The setting is lavish - a gilt frame hangs directly above Einstein's head.